September 11 swept in a new world where the finely drawn lines among legal institutions are shifting and, in some cases, disappearing. 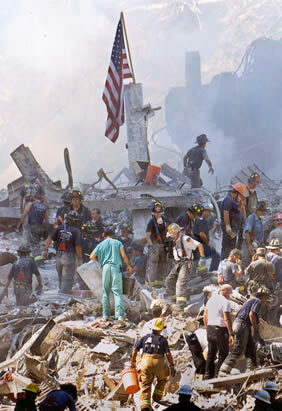 As the smoke began to clear from the World Trade Center and the Pentagon, the wind also shifted, sometimes moving - and sometimes blowing away - the lines the law has long triedto draw among the functions, philosophies, goals and values of venerable national institutions. In one instance, the differing aims of law enforcement, military readiness and intelligence-gathering - once thought of in terms of day and night - fused into the single concept of homeland defense in response to the Sept. 11 jetliner attacks in New York City and Washington, D.C. When recent State Bar Board of Governors member Erica Yew was appointed to the Santa Clara County Superior Court bench this fall, she joined a notable number of former governors who have become judges over the years. Roughly 14 percent of the attorneys elected or appointed to the State Bar's board since 1971 have wound up as judges, according to State Bar records. Board service appears to carry some weight in state court appointments. Close observers also point out that State Bar board members tend to have a history of service to the profession and community and other key qualities - all of which may help explain the number of judges among them. "The fact that someone has served on the board of governors is impressive," said Burt Pines, judicial appointments secretary for Gov. Gray Davis. Pines characterizes such service as "a positive" for those seeking appointment. "I can't put a numerical rating on it," he said. "It's part of an overall picture. It's part of the equation. It's certainly a plus." Such experience indicates significant involvement in bar activities, Pines noted. "You don't get elected to the board unless you have a history of service," he said. "In addition, service on the board is a reflection that someone is well-regarded by his or her peers." However, he said, "there are many things that are considered." The attorney's integrity, experience, background, temperament, reputation, general philosophy and work ethic, as well as service to the profession and community, all come under scrutiny. Take newly appointed Superior Court Judge Yew, for example. Yew's State Bar board service was "certainly something we considered," Pines said. "It's part of the whole package." The recent appointment of Ronald Stovitz as presiding judge of the State Bar Court capped a 30-year-plus career working on State Bar disciplinary matters, efforts that included 75 appearances before the California Supreme Court, handling a thousand cases brought against lawyers in the bar court and authorship of more than 150 opinions. Stovitz, who was named a review judge of the State Bar Court when it was founded in 1989, says the court now "is exceptionally strong."